This guide covers TOP-4 best full-tower cases, analysing their advantages and drawbacks. You will learn about six main types of such cases, some of which are more common while others are quite amusing. Find out why they are needed for decked out gaming machines and why ventilation on three sides are that important. The guide will tell you about their benefits, such as the possibility for upgrades and expansion, and in which situations they can be annoying. Read an F.A.Q section to get answers to many more questions. What are the types of full-tower cases and their differences? Who needs a full-tower case? When you build your computer, you often have a budget set out for specific components, and more likely than not, the four things you budget the most for are your motherboard, your RAM, your GPU and your CPU. These are the workhorses of any computer, after all. However, one thing that you really can’t skimp on, and this is a mistake I myself have made in the past, is with your case. Many people think the concern with cases starts and stops with “is it big enough, does it have enough USB ports, how are the cosmetics”. However, this could absolutely not be further from the truth in all actuality. The case of your computer is like the frame of a house – it’s an important structure that supports all of the components, and provides a form and shape, protecting them, keeping them in place, and completing a total appliance. Honestly, cosmetics should be the very last thing you consider, though I know this point will fall on a lot of deaf ears these days. As we’ve said in previous reviews, there are basically three sizes of a motherboard for a standard PC, and these tend to dictate the type of case you need. There are Mini ATX boards, which are the tiniest ones you can build a PC out of, though if you’re building a normal PC, you won’t be using one of these. There’s the common Micro-ATX, which is used to make smaller, compact or budget machines. You see these a lot in things like embedded systems, office machines, or slim case machines, though gaming machines and media center PCs can be built from these as well. Finally, there’s the standard ATX board, which is the largest. The big differences across these three sizes are, Mini have almost no slots for anything, Micro have a couple of RAM slots, one GPU slot, and a couple added PCI slots. Full ATX boards can support many drives, lots of RAM, multiple GPUs, and additional cards, and so on. In other words, full ATX is where you go, if you want to deck your machine out with lots and lots of stuff. Now, this becomes a little confusing with cases, as you have mid-tower which are Full-ATX, and you have Full-Tower, which is also Full-ATX. But, these both focus on the same size of the board, so what’s going on here? 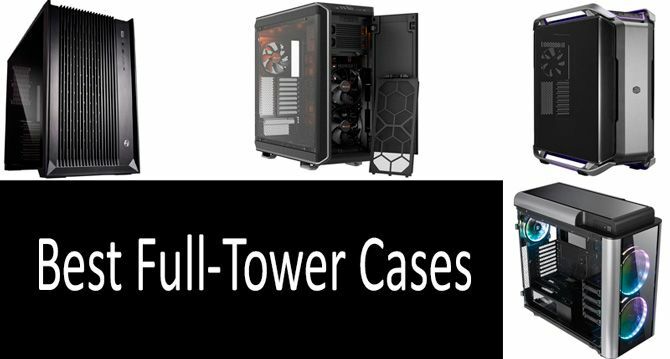 Today, we’re going to learn about full-tower cases, when and why they are needed, what to look for in one, and we’ll look at four of the better models on the market (at least in our opinion). I’m also going to share a little personal experience with these cases because you need to be very careful with them in certain situations, lest you suffer in the long run. A full tower case is the largest standard size of PC case you can get. There are bigger things, such as custom-made cases, server racks and so on, but as far as standard-market products, full-ATX is the biggest thing going. Aside from size, they’ve got the same mountings, ports, connections and materials involved in any other computer case. They’re simply bigger, thus more space inside. The result is that they tend to offer a lot more space for drives (which is something that too many designers are trying to deprecate), bigger cooling systems, more ventilation systems, and of course, bigger GPUs and expansions like that. This is really not a product with a lot of hard categories to point out, as they all comply with some basic form factor regulations. This is just a bigger version of the Micro ATX or Mid-Tower case concept. However, it’s worth pointing out the three shapes they tend to take, so let’s look at those now. Standard Tower – This is the tall, rectangular case that we so commonly associate with a PC shape since the late 1990s. These are the most common, designed to easily slide next to a screen, or fit on the floor or on a shelf, out of the way. Flat Case – These are far less common, especially with bigger cases like this, but from time to time, you do see them. These are short, wide things designed to have something sit atop them. At one point, many PCs were shaped like this, intended for a heavy CRT monitor to sit on top of. They’re not very practical now, so you don’t see a lot of them. Cubes – Some cube-shaped things, resembling server blocks or tables do exist, mostly for people who just find this kind of form factor amusing. You don’t see a lot of these either, though one case on our list does sort of sit within this form factor. Let’s also take a look at some of the common materials used in these cases. Tempered Glass – This is an increasingly-common material, making the sides of cases transparent, and sometimes providing a transparent front panel as well. It makes them heavy, and tempered glass smudges, and can break, so I for one am not actually wild about this trend. Surely some more durable, lighter-weight transparent material could be used. Steel/Aluminum/Titanium – The shell of a case pretty much has to be metal. Over the years, there have been many different alloys used, but today, you see mostly steel, aluminum and/or titanium. It’s usually a mix of the first two, given titanium is actually an expensive metal. Aluminum can actually be a tough metal, believe it or not. Plastic – There will be some plastics and other synthetics, but you want these to only be used where necessary. So, who needs a tower this large? What use cases are there that would commonly call for one? Let’s take a look briefly at some common instances. Servers – Industrial/Commercial servers aren’t built in these cases but are rack and slot systems. However, people building a personal server intended to actually be heavy duty will find a full tower case to be the most suited for a ton of drives and good cooling. Decked Out Gaming Machines – Many people build gaming rigs out of mid-towers, but those that find half the fun of a gaming rig is designing the most powerful thing possible, will also want multiple drives to store installed games, an optical drive, dual GPUs of a significant size, possible a memory expansion card, and a hefty cooling system. It’s hard to fit all this into anything but a full-tower case. When building your computer, there are a host of things to consider, because once you’ve bought your case, you’re stuck with it. Make sure it has all the things you need going in. Let’s take a look at a few of the more important factors now. USB Ports – USB is important. Pretty much everything that isn’t Bluetooth or a display, uses USB to plug into the computer. Even with wireless, there’s usually going to be a dongle that connects to the port. While some boards have Bluetooth natively, it works dubiously, meaning even for Bluetooth, you’re probably going to need USB ports. You’d be surprised how quickly you can run out of these as you plug things in. Drive Slots – You want to drive slots. The “cloud age” is not here yet, cloud storage isn’t reliable, it’s slow, and any real capacity costs money. So, you’re going to want some drives to store your files, your programs, and your games. These drives need little cozy slots to slide into, so make sure it supports the number of them you need. Ventilation – You’re probably building a beefy machine if you’re going full tower, and that means a lot of heat, and a lot of fans being needed. So, make sure you have a top, front, and rear ventilation that can really provide air flow and breathing room, lest things underperform and/or overheat. Materials – You probably can’t avoid tempered glass, but try not to get a case that’s made almost entirely of it – you’ll find out why shortly in my personal experience. So, I built several full-tower machines over the years, and never had any problems until around 2010, when they became obsessed with tempered glass. I won’t lie, I hate tempered glass for a host of reasons. It’s heavy as hell, it’s fragile, it’s expensive, it scratches, it smudges, it just doesn’t need to be used in making computer cases. I don’t really care about transparency in a case, to begin with, but for RGB (which I couldn’t care less about myself), you kind of need it, I suppose. However, there are so many other transparent, durable materials that could be used, which are lighter and less expensive among other things. Plexiglass, carbon-bonded plastic, the list goes on. Well, my disdain for this material is epitomized by the incident I had when I built a multi-purpose server. This server was intended to host Kaillera (a protocol emulators use to do 2P games over network connections), a custom Quake server, an IRC server, a local LAN server for my files, a secondary video rendering server for my let’s play videos and some other things. It needed a hefty case, it was a hefty server that even needed a good GPU. Sadly, all I could find that met my needs was a case that was more tempered glass than anything else. The frame was aluminum, but all the paneling aside from the rear, had some kind of glass going on. It was so heavy that once I put it where I wanted it, I vowed to never move the entire thing again unless there was a damn good reason to. One came along about seven months after I built it – I needed to move. The person I rented from was crazy in the annoying and stressful way, and I found a better place for a better price. I hired a mover – one that came with a good reputation. They dropped my server in the driveway, not while loading it, but while unloading it later that day. Now, it was hot and muggy, it wasn’t boxed up, and the glass made it slippery to get hold of with sweaty hands. From the height it was dropped, the components inside suffered no damage. It takes a serious impact to damage a hard drive when it’s not powered up. Any other case, it may have slightly damaged it, but not enough that I would have cared, because a few scuff marks or a little dented corner doesn’t matter at all to me. But, as I said, this thing was tempered glass. The shattering sound was explosive and resonating, every panel basically burst into a billion tiny shards of glass. Not only was my case destroyed, but this meant a ton of dangerous broken glass was now scattered across the driveway of my new landlord. What a first impression! Luckily, he wasn’t angry, he actually felt my pain, being something of a computer guy himself, and sharing my disdain for glass cases. And, the mover did replace my case, after I made enough of a stink. My point is, avoid excessively glass cases, and be really careful with them if you do have glass in your case. And, be careful if it breaks, tempered glass is especially nasty when it breaks, due to the tiny granules it produces. Below, you will find a review of TOP-4 best products within the price range from $100 to $350. All items are made of steel and plastics, with some models being consisting of tempered glass as well. All of them have four USB ports and the same amount of drive slots as well as front mic and speaker ports. These cases differ in the way they are ventilated, with two models providing not only the rear and top ventilation but also the front one. Cooler Master is a well-respected manufacturer of cases, cooling systems, RAM and other PC components. That’s a major positive for this and one other case, being from very reputable and sought-after brands. This is a pretty bog standard case, and it keeps the tempered glass to a minimum compared to some other cases out there, which reduces how heavy it is, and how fragile it is. We’ll get more into that in a moment, but first, what features does it offer? Material: Steel, plastic, tempered glass. Audio: Front mic and speaker ports. This one is probably best suited for just a generic, high-end PC. It’s fine for a gaming PC if you’re not fixated on RGB and other customization, which I for one wouldn’t be. It does have RGB, but it’s downplayed compared to some cases out there. Of the cases on this list, I do like the aesthetic of this one the most due to it being the least concerned with some sort of aesthetic to start with. My one concern with this case is the lack of front ventilation, which for a gaming machine, is a problem, potentially. But, if you have a beefy cooling system inside, you should be fine. I like the handles too, which make this an easier machine to move and to, well, handle. It’s not perfect, but at least it’s not some glowing space empire monolith like so many cases today. Looks like a computer, not some doomsday device. Less ventilation than some on this list. Feels like it could tip over if you aren’t careful. Still heavier than it should be. This is probably the least-specialized of the cases on our list today, and I recommend it to people who want just a basic full tower case with some actual build quality behind it. This is the other one on the list that I am fond of from an aesthetic angle, as it’s the closest thing to a humble black box you can get, though of course, it has to have the pointless RGB that people can’t live without these days. This German-engineered case is built with a focus on quiet, and it does manage that quite well. As someone who was always drawn to the humble, unassuming black box, there’s a lot I like about the look of this. However, it does still have the tempered glass thing going on, due to the RGB features it does have. You can, of course, turn RGB off with these devices, so you may wonder why I kind of consider it a con with my own standards of cases. It’s because they’re the direct cause of the tempered glass thing going on. But, that aside, the silent running idea is nice, especially if you do something like Twitch streams or let’s plays, and don’t want your loud computer being picked up by the microphone. This is a decent machine for gaming, though again, the lack of front ventilation, which the next one on our list does have, is a little bit of a concern. This gaming case is designed for high-end gaming rigs. With something from Thermaltake, you know you’re getting a solid case, regardless of your purposes. This one is designed with a cooling system in mind, of the liquid sort. It sports RGB details, which as I’ve said, I really don’t care about, but a lot of modern PC users, especially gamers, seem to be taken with this for some reason. It’s not hurting anything. A thing of note here is the advanced ventilation available, with front, rear and top, which is something I have to think a gaming PC really does need, due to how hot the thing is going to run GPU-wise and CPU-wise. Ventilation: Rear, front and top. Okay, so I’ve nitpicked the use of tempered glass in all of these cases (gotta make room for lighting nobody needs, right? ), but at the end of the day, you’re not going to escape the glass thing with most decent cases now. Perhaps, given enough time with material sciences, we can enjoy a less fragile, lighter-weight, more affordable glass, which will render this less of an issue. With Thermaltake, you know you’re getting something with the best build quality going, as they’re a very respected, sought after manufacturer of PC goods. This one is spacious, with a lot of room for drives and cooling, which is the big reason I feel this is recommendable as a gaming PC case. Well, that and the massive cent systems it has, which a lot of cases lack. This is one of those cases for when you really need a full-tower case. RGB is a bit overstated. If you’re building a powerful, fully-realized gaming PC, this is the case for you. Even if you don’t care about RGB, like me, you still want the space, durability, and the venting that this thing can offer. This wants to be a gaming computer case, it really does. And it would work for that, but honestly, given this unique form factor, I want to talk a little bit about why this is best for servers. A server needs room for drives above all else, and the squat, square design of this case definitely lends to that. It doesn’t bother with nonsense like RGB, focusing on through ventilation, which I’d like to see standard cases do more often. This would be perfect for stacking drives and a GPU inside, for high-end server needs, and it looks so much like old fashioned server cases from before the racked machine days. I used a case very similar to this not too long ago, to build a server, the cube-like design of it being just perfect for it. I don’t understand why this needs a tempered glass panel, though Lian Li does sell addressable RGB kits, so I guess some people do install RGB in this. As a server, that’s the very epitome of unnecessary. Servers do run hot from drive access, and this through venting is a good idea for that. As I said, I’d like to see a normal-shaped case built this way, and perhaps a future trend will decide that pointless RGB is no excuse for a solid, well-breathing case that is function over form, as a computer really should be. This would make a good server, media machine or other utility devices, but as a desktop, it may be a bit awkward to fit it in the kind of snug spaces you fit normal towers inside. Interesting form factor perfect for servers or other high-performance tasks. Too awkwardly-shaped for a desktop. 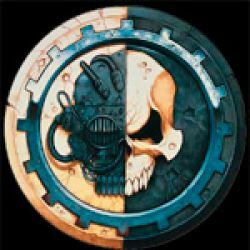 Lian Li is not a well-known and tried company. For unique projects like servers or other high-end utility devices, this is a good choice. I wouldn’t recommend it for regular computing due to the awkward shape, though. • Material: Steel, plastic, tempered glass. • Ventilation: Rear and top. • Audio: Front mic and speaker ports. • Ventilation: Rear, front and top. Which full-tower case is the best? Anything by Thermaltake is a win, even if I don’t get the point of RGB stuff. Which one is the best for a gaming computer? Again, probably the Thermaltake, with its high venting ability. About two to three feet, depending. Should I get a full-tower or a mid-tower case? Depends. Do you want lots of drives, high-end cooling and big GPUs? Then you need a full-tower. How should I clean the unit? Power it down. Use glass cleaner on tempered glass, compressed duster spray on the rest, a gentle dry rag on metal and plastic. Tons of room for upgrades and expansion. More room for unique designs. They tend to be big. They tend to be heavy. If you’re not building a beefy machine, you may be wasting some space. They’re a pain to move. They tend to be annoying to connect the switches and lights/indicators to the board. If you’re building a massive machine, or you plan on upgrading your machine consistently, in an additive way during the lifespan of the machine, then you definitely need a big tower like one of these. Gamers and heavy advanced users just need the extra space these afford, because just as we don’t live in a post-PC world, we also don’t live in a post-local-storage world yet either, and damn it, hard drives need space.